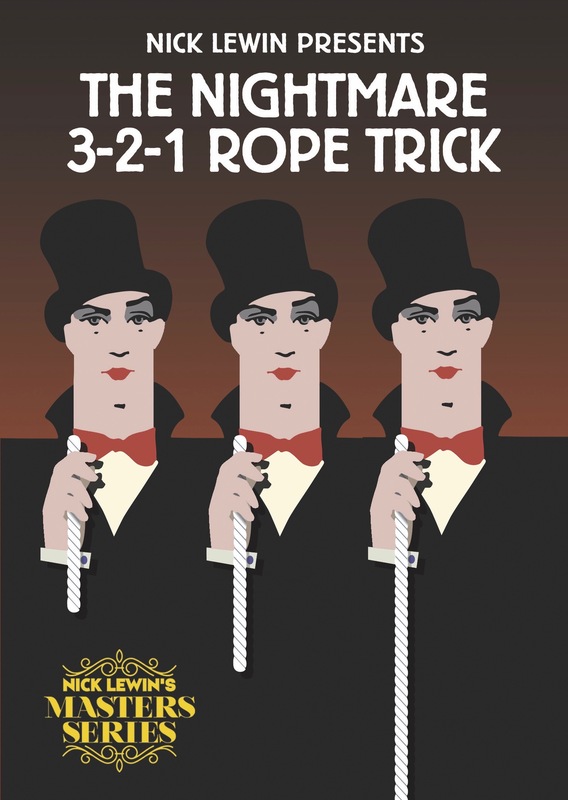 Every magician needs a really good rope trick! It is two classic effects combined into one performance masterpiece. 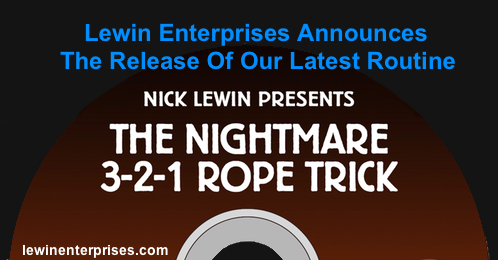 Nick Lewin has crafted a sure fire routine that gets huge audience reaction with the minimum fuss and props. Perfect for stage or close-up performance, this routine is ideal for all ages and is totally visual in impact. The props fit in your pockets without a bulge, never need replacing, and reset in seconds. You will use this routine a lot! This meticulously detailed DVD teaches every move, subtlety and nuance of the routine, and will have you performing the effect in no time at all. 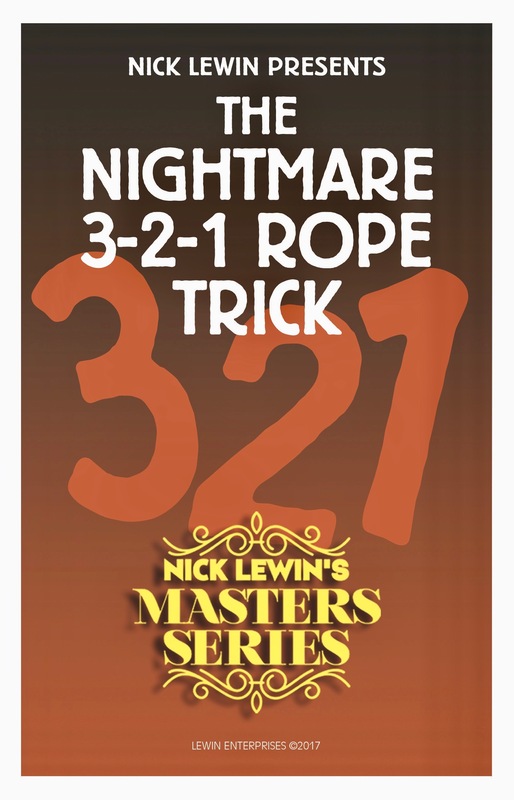 Nick’s video tutorial on the classic Conway Rope Trick puts this outstanding effect easily in the grasp of everyone— even if previously the written instructions have left you confused and frustrated! This double punch routine has a powerful place in Lewin’s professional repertoire, and will quickly become be a staple in your show.